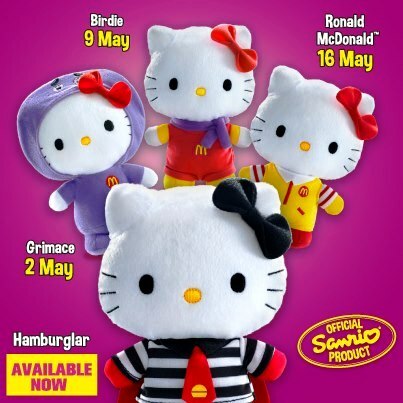 Hello Kitty is now here at McDonald’s start on 25th April until 16th May 2013. Every Thursday there will be a new design. 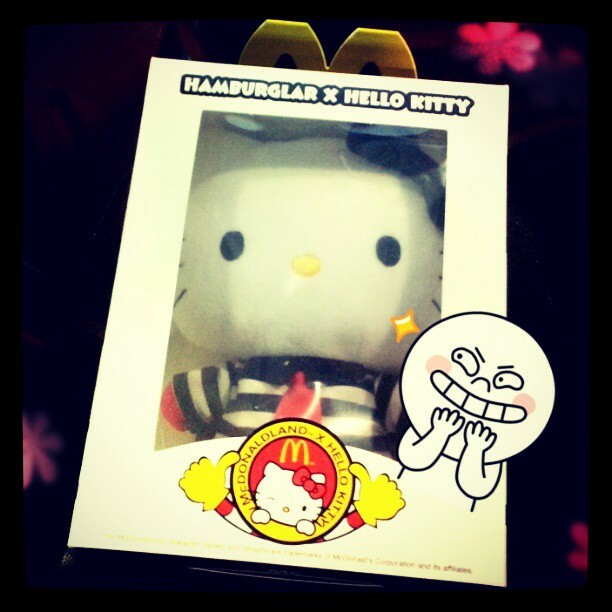 Each Hello Kitty plushie only costs RM9.95 with purchase of any McValue Meal. 1 new design every week total there is 4; Hamburglar, Grimace, Birdie and Ronald McDonald. and you could stand a chance to win amazing Hello Kitty prizes.